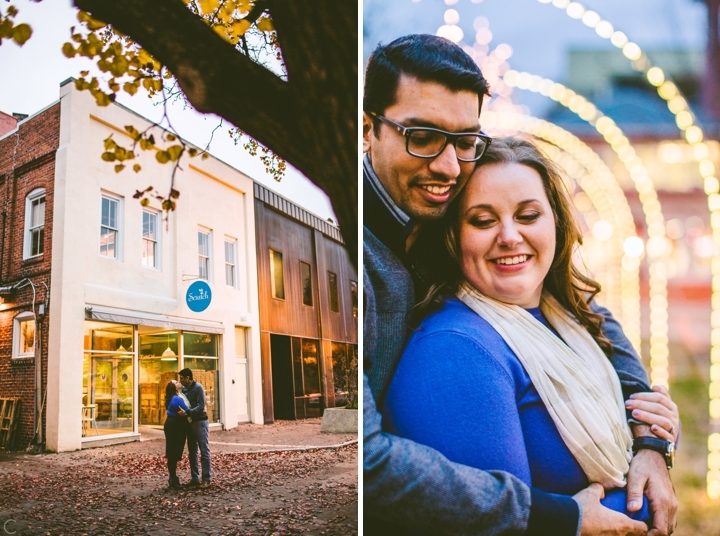 Carolyn Scott Photography | Family and Business Photographer | Raleigh - Durham, NC Annie+Kunal // Durham, NC. 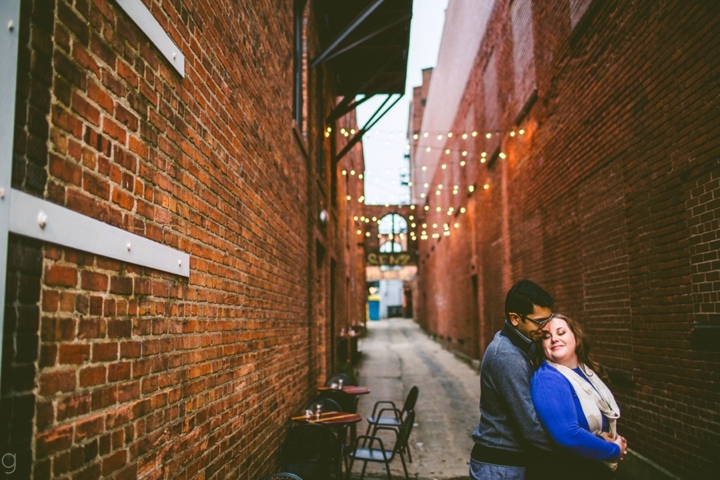 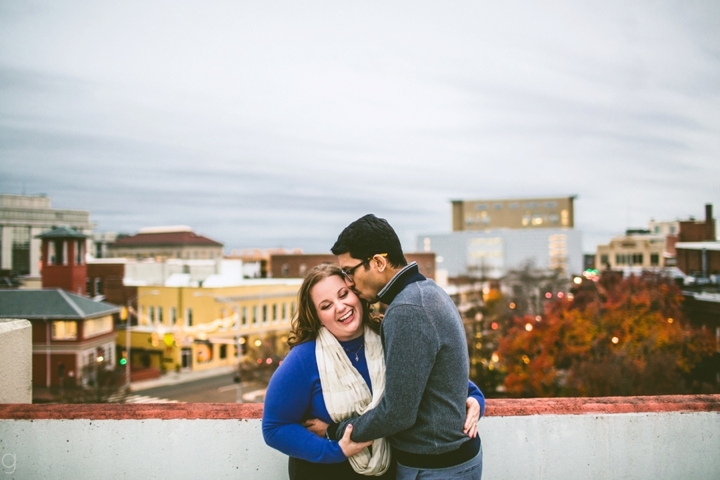 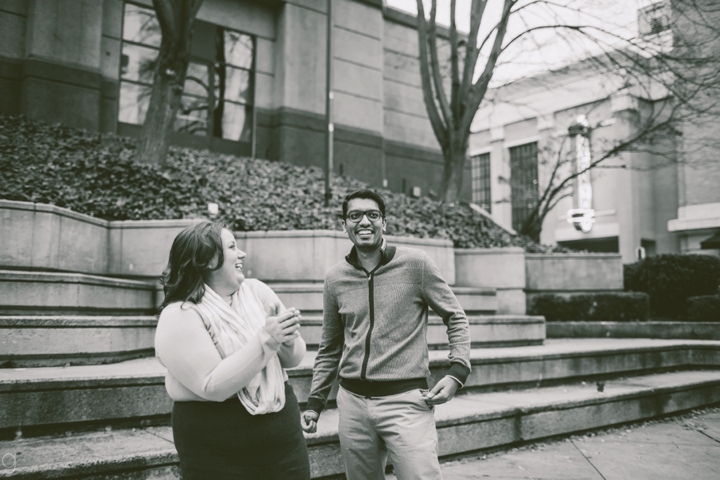 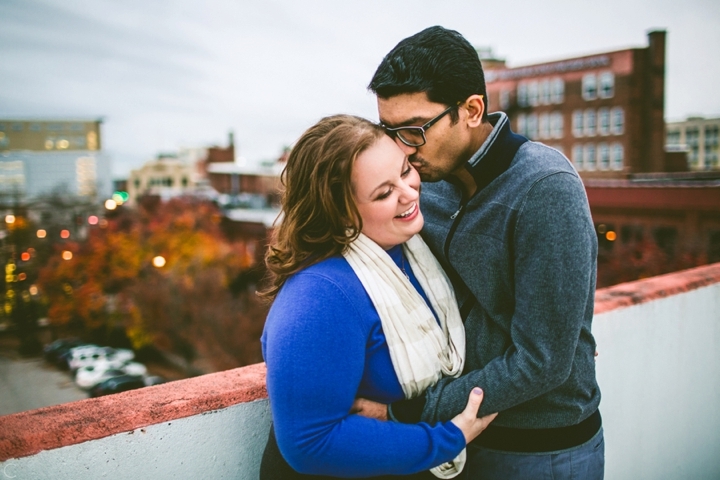 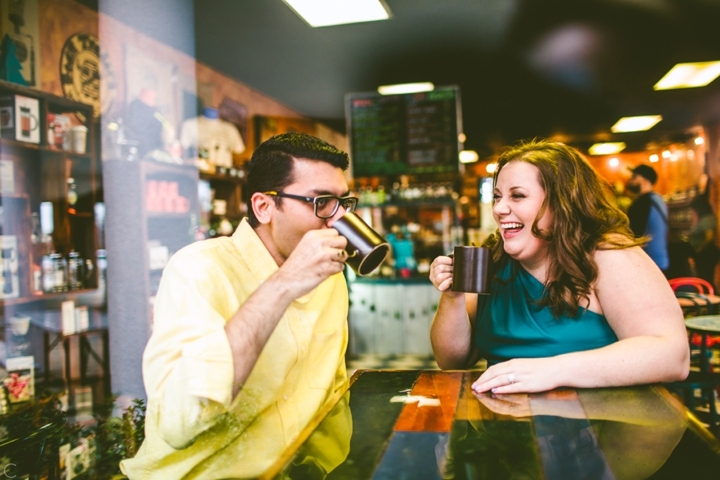 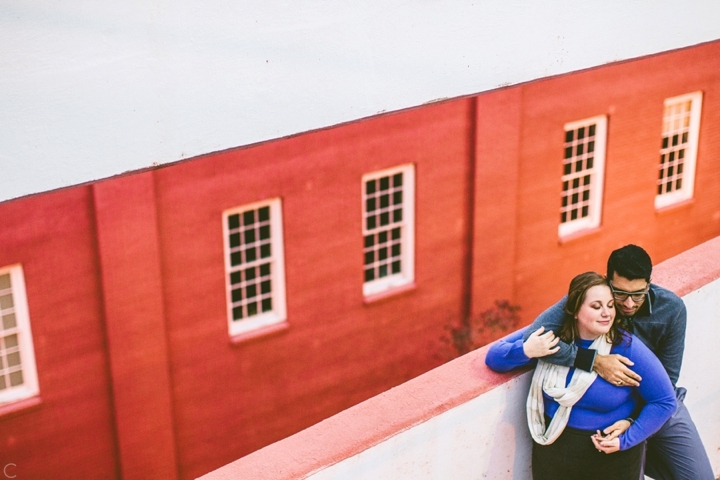 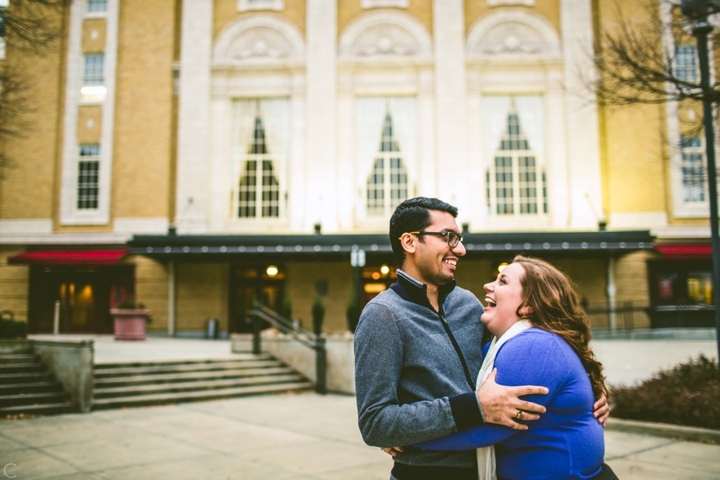 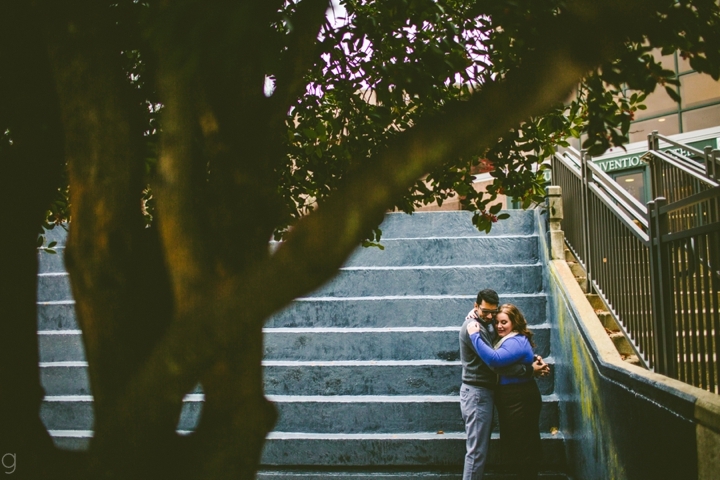 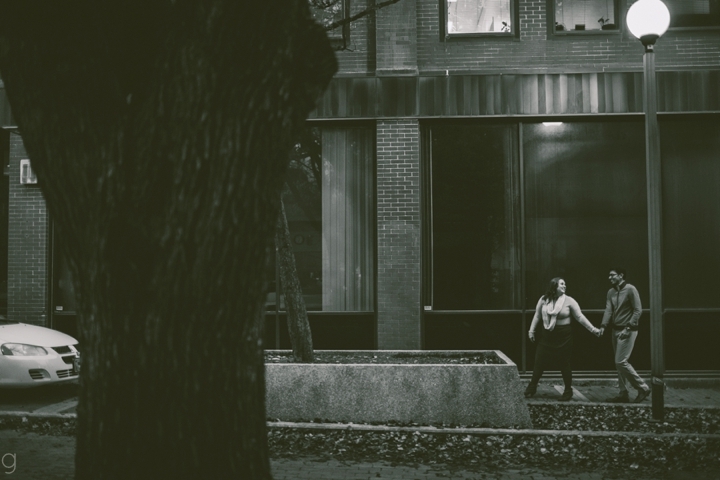 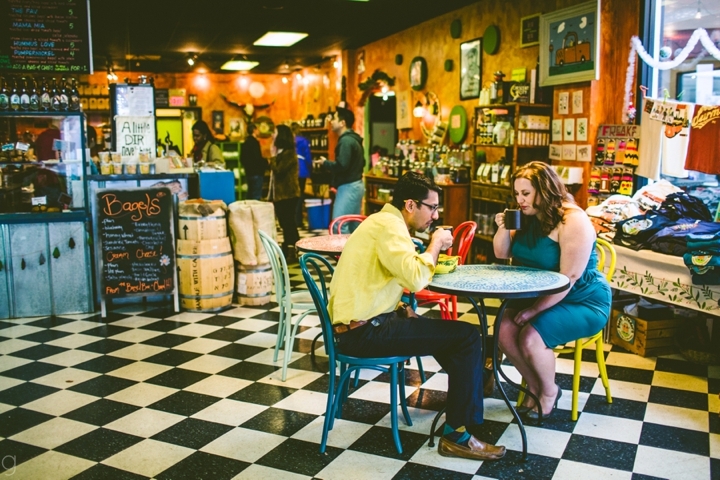 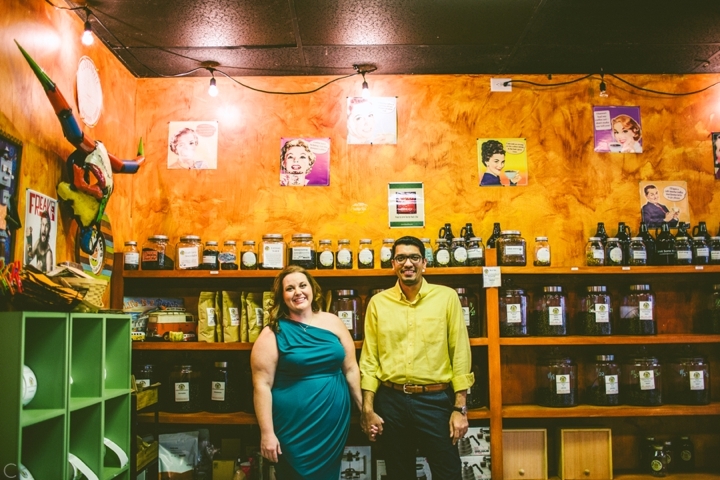 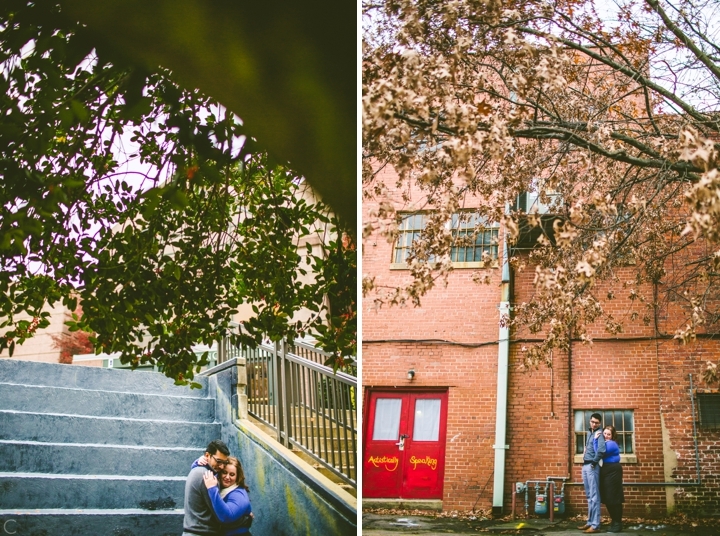 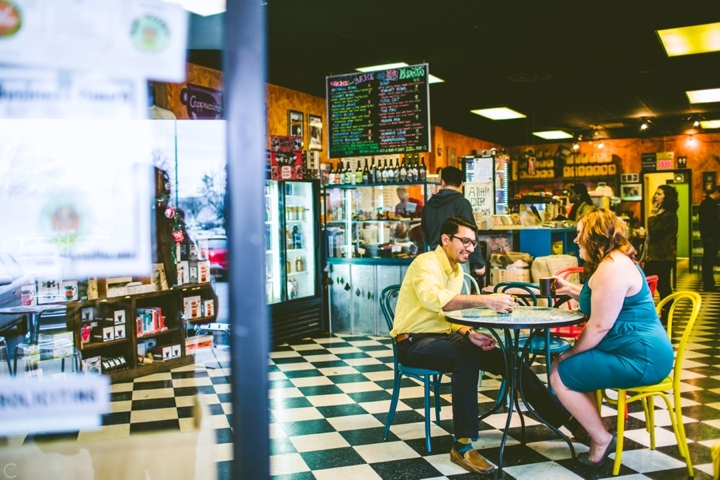 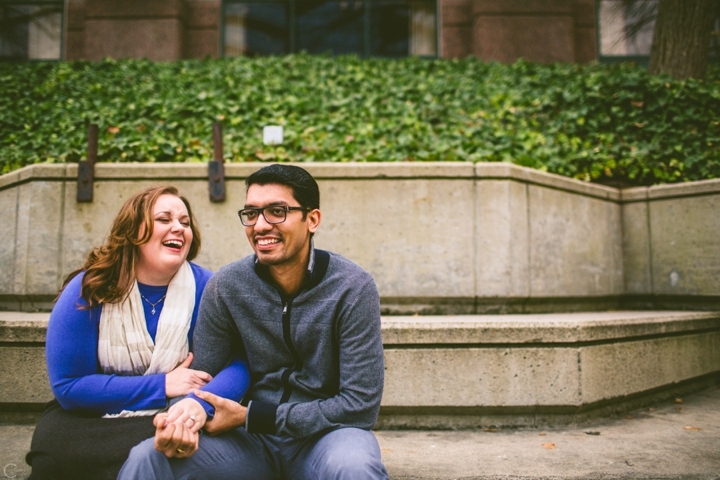 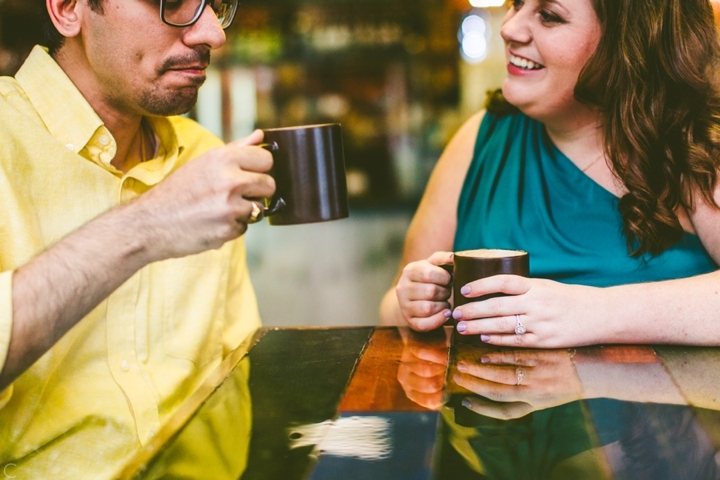 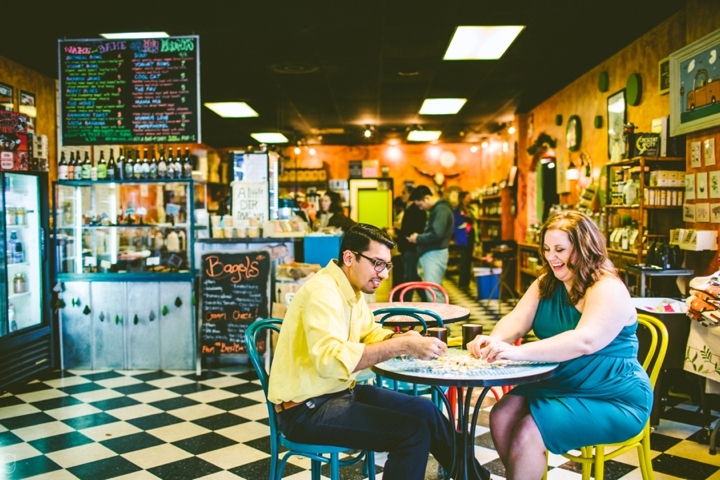 Annie and Kunal are in love with each other, but they’re also very, very in love with Durham. 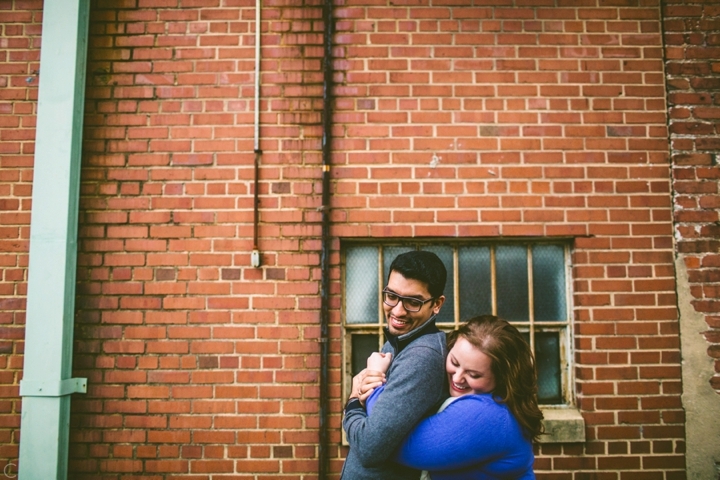 Well, Annie is (a self-proclaimed #1 Durham fan) and she’s working on Kunal (he likes it, but he’s not yet reached the #2 Durham fan status that Annie knows he can be). 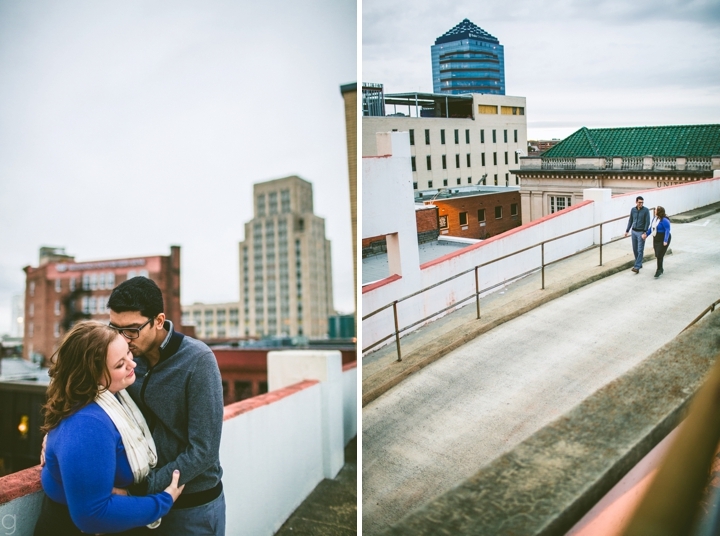 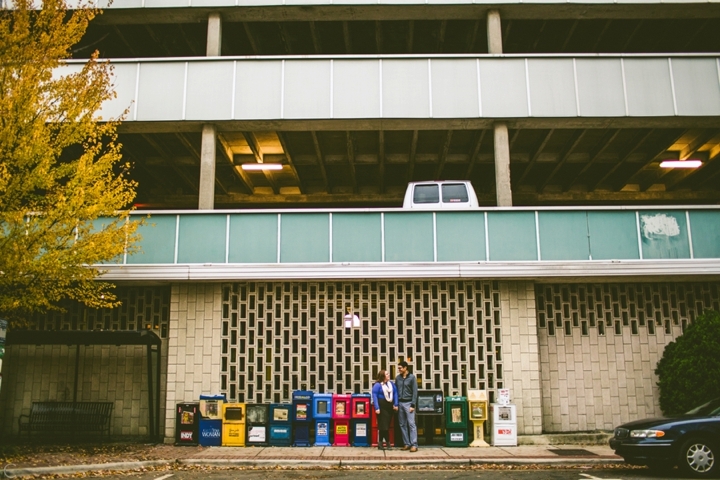 So they got engaged (actually, they met with us, booked us, planned part of their wedding, and then they got engaged because the order of things is not important) and decided to run around downtown Durham for their engagement shoot. 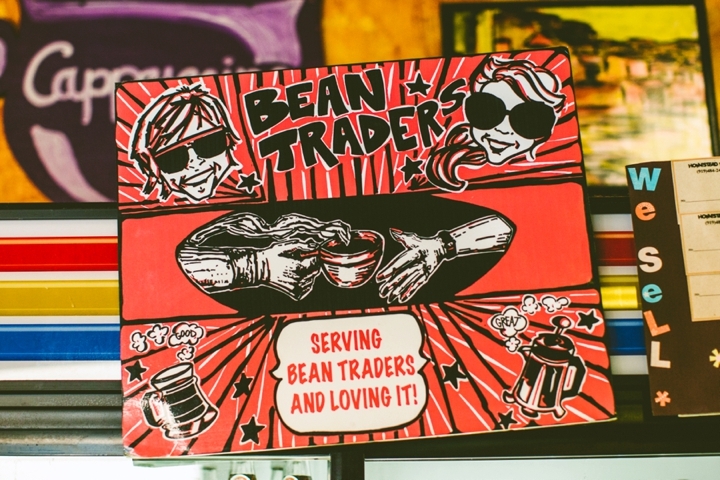 :) The first half they wanted at Bean Traders, a local coffee shop in South Durham who was very kind to give us permission to shoot indoors there. 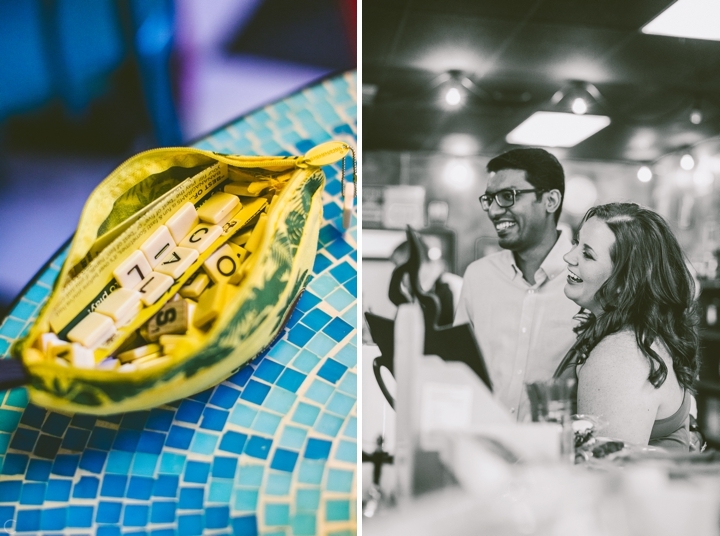 Annie and Kunal go there often, rummaging through the game chest in order to have heated Bananagrams competitions (Annie usually wins but Kunal is just biding his time in order to become the reigning champion). 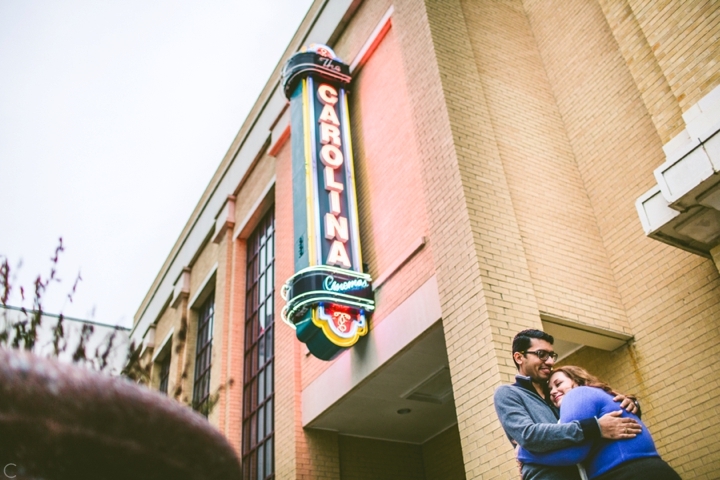 We also hit up the Carolina Theatre where go a lot as well, and hopped and skipped around downtown. 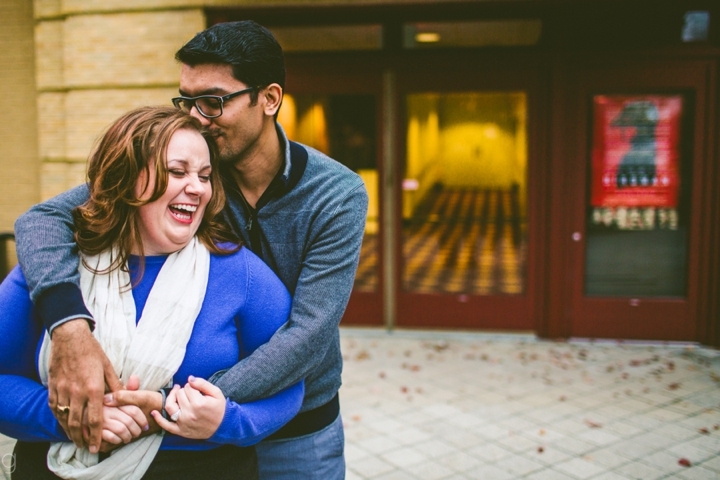 They are super sweet and adorable together (Kunal makes Annie laugh a pretty amazing laugh) and we are so excited to be working with them!